You now I'm not usually a big jewelry person but that doesn't mean I don't like to shop around for it. Every once in awhile though, I come across a piece of jewelry or designer that catches my eye which is how I discovered Pearls by Laurel. 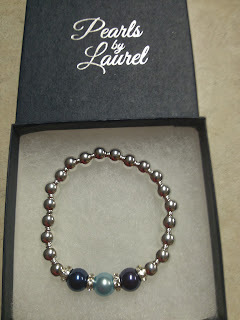 While browsing Tomoson (a blogger review product site), my eyes were completely drawn to the beautiful pictures of bracelets which Pearls by Laurel had. I knew this was something I had to review! Ever since having my children (and even before the boys when I became Alana's mother), I have become obsessed with wearing jewelry which represents who I am. My children and family being the most important parts of me. "Our goal is to create beautiful and meaningful jewelry that celebrates the treasures in a woman's life." This is such meaningful jewelry that truly represents the beautiful parts of our lives. 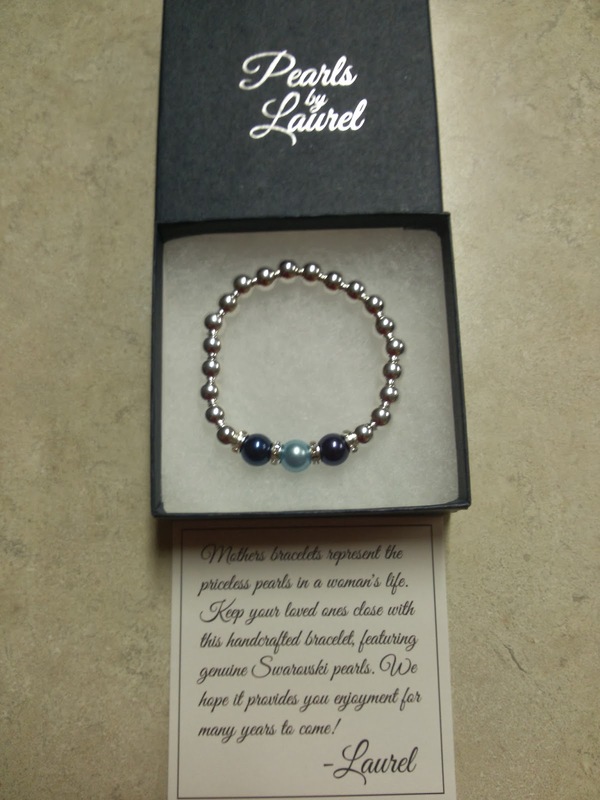 I was given the opportunity to design and review my own Mother's Bracelet. I considered doing all five of our birthstones in the bracelet at first but because of the order our birthdays fall and the color birthstones we have, I decided to stick with just the kids. 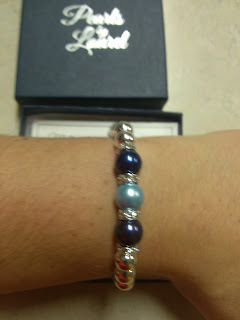 What I loved most about this is you don't just pick out which colors/stones you need and they design the bracelet. You actually get to choose which order the stones go in as well as picking the perfect size to fit your wrist. 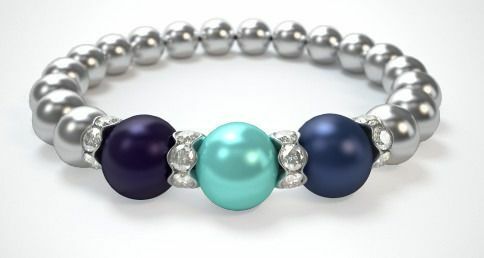 Genuine Swarovski Pearls are used to create the perfect wearable memories! This is very sturdy made and doesn't feel as though it will break easily if one of the boys get a hold of it. I love that the design is nice enough to wear for a night out all dressed up or just dressed in jeans and a t-shirt. It looks like something a young stylish mom would wear and is almost a conversation starter since you wouldn't know right away that it was all the kids birthstones. *There is even a referral program that rewards $15 in store credit for referring a friend to their website. Recommendation: This jewelry really is gorgeous and can be worn by anyone at any stage of their life. I even think the pricing is cheaper than you would find anywhere else and for a gorgeous quality made gift. PLUS, these are lifetime guaranteed! How can you go wrong?